The Ministers in the Joint Drafting Committee of the Bill would be able to devote time to finalise the draft by June 30. “As the notification states, we have to complete our task by June 30 and we hope to do that by June 30. We hope that provided the Ministers in the committee devote adequate time to it and I expect they would after this commitment,” he said. 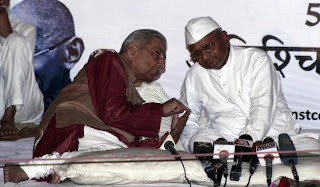 Even the members of the movement including Anna Hazare and Arvind Kejariwal did not expect such an “overwhelming” response from the common people but the mass participation shows that “the public is fedup of corruption in the country”. 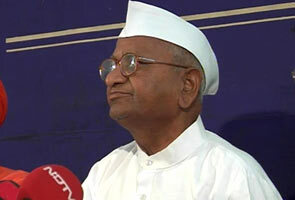 What is The Jan Lokpal Bill ? Anna Hazare, anti-corruption crusader, who started a fast-unto-death campaign, demanded that this bill, drafted by the civil society, be adopted. The website of the India Against Corruption movement calls the Lokpal Bill of the government an "eyewash" and has on it a critique of that government Bill. It also lists the difference between the Bills drafted by the government and civil society.